This is the scene where Chris (Will Smith)takes his son, to play basketball and tells him to never give up on his dreams. The football field is home to the 2004 Pop Warner champion North Philly Aztecs, but is in such bad shape that the team has to hold its home games at nearby Edison High School. Kathryn Ott Lovell, executive director of the conservancy, said she was determined to get Vick involved after hearing him speak last year to students at nearby Simon Gratz High School. "I was completely blown away by this guy," she said. "Hunting Park is his story; this is the story of second chances. This is about the redemption and rebirth of a park and an entire community." Ott Lovell agreed. "I think it started as open space, it started with a new baseball field," she said. But now, she said, they are testing a larger theory: "If you change the physical environment, and introduce some really critical programs, can you change a community? Can you make it better? Can parks catalyze social change in neighborhoods? We think it can, and we think it's happening right here in North Philadelphia." Brooklyn, NY. Thursday, September 16th, 2012 - Black Inventors, Crafting Over 200 Years of Success, clearly highlights the work of Black inventors from over seventy countries. Our publication is now available to purchase as an ebook with Amazon at their Kindle Stores in Australia, France, Germany, Italy, Spain, the United Kingdom and the United States. It is also available to purchase at Barnes and Noble, Nook Books. Our ISBN number for our ebook publication is 978-0979957314. The author, Keith C. Holmes, has spent more than twenty years researching information on inventions by Black people from Australia, Barbados, Canada, France, Germany, Ghana, Haiti, Jamaica, Kenya, Nigeria, South Africa, Trinidad and Tobago, just to name a few. Without innovations, inventions, plans, financial resources, labor saving devices, materials and muscle, no civilization can exist and flourish. Black inventors, from the very beginning of their involvement in the invention and patenting process, have had an important and earth shattering impact on the world. This book highlights the work of early black inventors from almost all fifty states in the United States. It gives details about the first Black inventor who obtained a patent in both the Caribbean and the United States. In the United States, to date, seventeen African American men have been inducted into the National Inventors Hall of Fame. Two of these inventors, Jan E, Matzeliger, (Suriname) and Elijah McCoy, (Colchester, Canada) were born outside the United States. We have also cited a number of African inventors who have received the WIPO Gold medal for their inventions. Our research has uncovered and cited a number of inventors of color from the Caribbean and beyond. Global Black Inventor Research Projects, Inc., recognizes the importance of inventions by indigenous people. Our research has uncovered thousands of inventions by people of African descent. Our first publication is globally recognized as one of the leading books on the subject of black inventors. This book documents a number of the inventions, patents and labor saving devices conceived by black inventors. Africans, before the period of their enslavement, developed: agricultural tools, building materials, medicinal herbs, cloth and weapons, among many other inventions. Though millions of black people were brought to Canada, the Caribbean, Central and South America and the United States in chains and under the yoke of slavery, it is relatively unknown that thousands of Africans and their descendants developed numerous labor saving devices and inventions that spawned companies which generated money and jobs, worldwide. The focus of this book is to introduce readers to the facts, that inventions created by black people, both past and present, were developed and patented on a global scale. This also means that there are inventors in every civilization whose ideas have been turned into inventions. In the past the focus has been on American and European inventors. Today, the new giants in the patenting process are Brazil, China, India, Japan, Nigeria, South Africa and South Korea. Recently, Dr. Patricia Bath was nominated to the National Inventors Hall of Fame; but, an African American woman has not yet been inducted into this prestigious organization. Mr. Holmes documents the creativity of black women inventors from Africa, Canada, the Caribbean, the United Kingdom and the United States, and provides readers with a comprehensive view of the ground-breaking achievements of black inventors – both male and female. www.collectionscanada.ca, www.copac.ac.uk, www.loc.gov, www.nla.gov.au, www.sabinet.co.za, www.nielsen.bookdata.co.uk. This is one of the first books that address the diversity of black inventors and their inventions from a global perspective. The material available in this book is an introduction to the world of black inventors. It gives the reader, researcher, librarian, student, and teacher materials they needed to effectively understand that the Black inventor is not only a national phenomenon, but also a global giant. Black Inventors, Crafting Over 200 Years of Success identifies black inventors from five continents, over seventy countries, including almost all fifty states in the United States. Citing a number of black inventors from 1769 - 2007, this book is one of the most comprehensive works on black Inventors since Henry E. Baker's research on Black inventors in the early 20th century. Australia, Bahamas, Barbados, Belize, Bermuda, British Virgin Islands, Canada, China, Ethiopia, Fiji, Germany, Ghana, Guinea, Guyana, Jamaica, Netherlands, Panama, Scotland, South Africa, Taiwan, Trinidad and Tobago, Uganda (Pending), United Kingdom, United States including the U.S. Virgin Islands, Wales. - 40 out of 50 top public libraries in the United States. - For a partial listing of public libraries, organizations, schools, and universities that have added this ground breaking book to their collection visit the next page. Our publication was selected by the NCTE to be a part of the 2012 African American Read-In. This book was cited by the Arundel County Public School Science committee with the following comment on the evaluation form: “could be used as real world examples in class or for student research". BEGIN NOW to convert the more than $1 Trillion spent annually by Black American consumers, minority owned businesses, and other supporters of Black Higher Education. From our shopping site you can buy from top American retailers such as Amazon, Barnes & Noble, Macy's, Walmart, Jos. A. Bank, and Office Depot. We have merchants for your car, your house, your pet, and yourself. From our shopping site you can buy from top American retailers such as We have merchants for your car, your house, your pet, and yourself. We have expanded our program with two new features, EBA Travel and Appleseed Scholarships. Appleseed is our most exciting new development. We now make it possible for people, businesses, organizations and nonprofits to earn scholarships. We are hiring marketing interns in local markets across the country to support and promote Educate Black America. To keep current on Educate Black America, join us on Facebook, and Twitter. Introducing the first of its kind...The Blueprint to Success Motivational Mixtape, an intense compilation of some of Eric Thomas' most gripping and inspirational messages performed Globally. Strategically wrapped in a mixture of songs and motivational messages from some of history's most engaging and uplifting artists and leaders, Eric continues the saga of triumphing through adversity, staying ahead of the competition, and the importance of perfecting your brand. LeSean Thomas -- Illustrator, Writer, Character Designer. LeSean Thomas is from New York, USA. After graduating high school, he went to the animation business field and did works in many studios including Hollywood. Now he is producing and directing animations broadcasted on U.S. televisions, and also doing projects as illustrator and writer. He has a experience in making U.S. animation in Korean animation studio in 2009. He'd like to introduce his impression on the differences between Korean and U.S. animation business field and his life in Korea, which he get during the production of the video 'Seoul Session', in online TV network 'Creative Control;. He also share ideas about successes and failures in animation business. 21st Century Sister: The ESSENCE 5 Keys to Success gives you the practical self-empowerment advice you need to become successful through discovering your own inner peace and happiness. Using five essential keys to success, 21st Century Sister offers you a road map for personal, career, and financial development. It's the essential personal guidebook for every sister. Put these five essential keys to work for you:Adopt a winning attitude through loving, self-affirming speech and thought. Manage your time and your self by setting goals, prioritizing, and organizing your busy life. Find and prepare for your ideal career. Become financially savvy by budgeting, saving, establishing good credit, and planning for the future. Support other sisters and brothers by being an active participant in your community. During the past thirty years, ECI has grown into a vital business of diverse media properties and communications systems that include ESSENCE, its flagship magazine, launched in 1970. 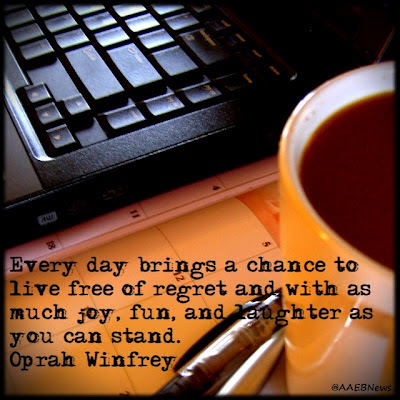 "Every day brings a chance to live free off regret and with as much joy, fun, and laughter as you can stand." 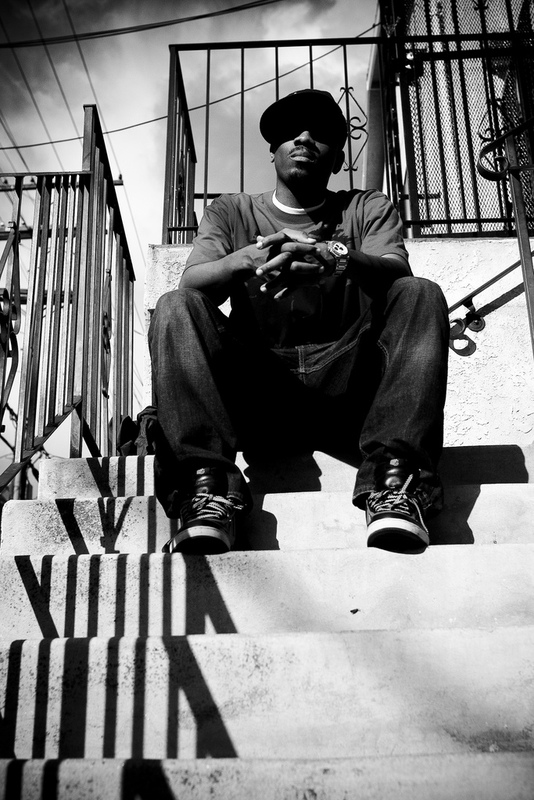 Producer, Director, Writer, LeSean Thomas is a celebrated Pop-Artist with a Hip Hop/ Anime-driven aesthetic that is praised by industry veterans and fans of the genre. His work on projects, including the Peabody Award-winning animated series, “THE BOONDOCKS,” (Co-Director/ Supervising Character Designer) has introduced an arm of artistic expression to an audience once only thought to be too remote to penetrate. In the past, Thomas has worked for various companies in Hollywood as well as South Korea ; Cartoon Network, Warner Bros, Sony Animation, JM Animation (Rok), Studio Mir (Rok), MOI Animation studios (Rok) and Dong Woo (Rok). Recent projects include Nickelodeon’s ” AVATAR: THE LEGEND OF KORRA.” He currently resides in Los Angeles, at TITMOUSE Inc Animation as a Producer/ Director for “BLACK DYNAMITE: THE ANIMATED SERIES” He is also currently producing a creator-owned graphic novel. 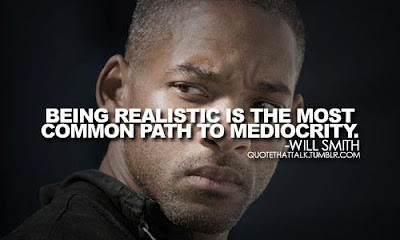 "Being Realistic is the most common path to mediocrity." The late former Congresswoman Shirley Chisholm was the national spokesperson for Educate Black America until her death in 2005. Nationwide (September 5, 2012) -- Acknowledging that education is the key to opportunity in America, a portion of virtually every dollar people spend can be converted into a scholarship fund to support Black Higher Education. The Educate Black America initiative uses cause marketing through online shopping from its web site, www.am-blk-coll.com, to sell the best products and services at the same prices found at other web sites with one important difference and advantage. Every purchase from the Educate Black America Shopping site contributes to underwrite scholarships that include K-12, college, post secondary trade and career, distance learning, as well as management and professional studies. Former Congresswoman Shirley Chisholm, noted human and civil rights advocate, said as national spokesperson for Educate Black America that, "Educating Black America is something we must do, can do, and should do." If everybody does their part and their share, the TRILLION DOLLARS spent by consumers and businesses in Black America and other supporters of Black Higher Education can generate a $100 Million fund. The goal will be met if $1 out of every $10,000 spent can be leveraged through the Educate Black America initiative, according to Alvin J. Lee, founder and former Fortune 500 executive. "Shoppers can choose from top American retailers such as Amazon, Barnes & Noble, Macy's, Walmart, Advance Auto, Office Depot and many more. Educate Black America Shopping has products and services for you, your house, your car, your family, your pets and your business." The program has been expanded with two new features, EBA Travel and Appleseed. EBA Travel can handle all personal and business travel needs and converts a portion of travel expenses to scholarships when travel arrangements are made through the EBA Travel link on the Educate Black America home page. All EBA Travel arrangements are made through marketing partnerships with industry leading travel providers such as Expedia, Hotwire, Hotels.com, and Enterprise. Appleseed is an exciting and innovative new development that makes it possible for people, businesses, organizations, and nonprofits to earn cash and scholarships. ABC Ventures is hiring marketing interns in local markets across the country to promote and support Educate Black America. ABC Ventures, a Baltimore, MD corporate development group is the management company for America's Black Colleges Fund, Inc. The company, staffed by former Fortune 500 executives and managers, specializes in cause marketing initiatives that build corporate bottom line results and generate significant financial support of important social causes. In addition to the Educate Black America initiative, the company has developed Park Walk America, www.parkwalkamerica.com, to promote better health, better fitness, better parks, and a better environment. The funds generated from Park Walk America will be used to help America's financially strapped parks and recreational areas. Oakland, CA (September 5, 2012) -- Most of us can remember at least one book that changed the way we viewed our world - a book that opened our minds to new possibilities and even inspired us to dream. The new Thompson Twins book series might just be that inspiration for this generation of children who need to believe in themselves and their capacity to live successful lives. Dr. Lesa Hammond, author of the new series, knows the positive impact role models can have in a child's life. She created the book series with characters and role models that are relatable to young readers. "I liked that everything that happened was a surprise," said Andres Rivera, age 10, from Ascend School in Oakland, CA. The first book of the series, The Thompson Twins Las Vegas Adventure, spins a delightful tale as the twins take their first plane trip, meet with a top hotel executive and even pursue an elusive superstar! "Using real life role models imparts a powerful message to young people," says Hammond. "They learn that success is achievable even when faced with adversity." With the rising rates of crime in the inner city, this salient message is increasingly important for the youth growing up in these areas. The books follow biracial (African American and Latino) twins, Letty and Carlos Thompson as they embark on different adventures that allow them to meet and interact with, what Hammond calls, "Everyday Role Models." People like nurses, policewomen, and businessmen and women who are plucked right out of their community and onto the pages of each book. To carry home the message that the role models are real people, a picture and short bio of the featured role model appears at the back of the book. Refreshingly relatable to the daily lives of inner city children, the Thompson Twins series still remains global in its appeal and is culturally appropriate for children from all backgrounds. Lesa Hammond is the founder of Achievement U, Inc. She has worked in the fields of education and human resources for more than 15 years and holds a PhD in Transformative Learning and Change. Her research on unlearning oppression and role model theory led to the development of the Thompson Twins book series. The books are currently available for purchase through Amazon.com, other online retailers or ask for them at your local bookstore. The Thompson Twins is a project of Achievement U, Inc. - A non-profit organization devoted to empowering young people to reach for their dreams. For more information go to www.achievementu.org or contact info@achievementu.org or 510-677-5258. 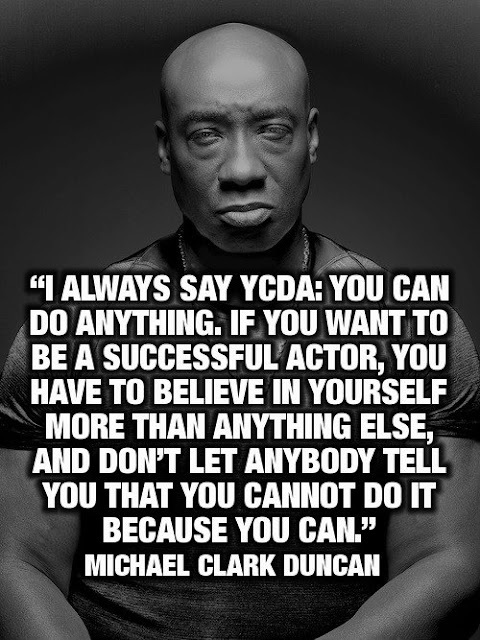 "I always say YCDA: You Can Do Anything. If you want to be a successful actor, you have to believe in yourself more than anything else, and don't let anybody tell you that you cannot do it because you can." Taking its title from the moving lyrics of the official song of the National Association for the Advancement of Colored People, "Lift Every Voice and Sing," Till Victory Is Won chronicles significant moments in African-American history through more than two hundred illuminating quotations from NAACP officers, members, and award recipients. ...and countless others who share their perspectives on the life-changing work of the NAACP and its place in history. Mike Green is a former award-winning journalist with 14 years media experience. He is the CIO of BlackInnovation.org. Mike speaks and writes about the Innovation Economy. Green is also a co-founder of The America21 Project. The America21 Project (formerly The Black Innovation and Competitiveness Initiative) is an open, collaborative and innovative platform that fosters solutions-based approaches to 21st century community economic development. 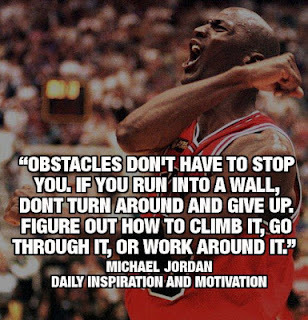 "Obstacles don't have to stop you. If you run into a wall, don't around and give up. Figure out how to climb it, go through it, or work around it." From 2000-2003 I watched the Ironman Triathlon from the side lines wishing that I could join this elite group of athletes. In 2004 my doctor advised me that my diabetes was out of control and a change was needed if I wanted to live. Loving life the way I do, I made the commitment to change my lifestyle in a major way. 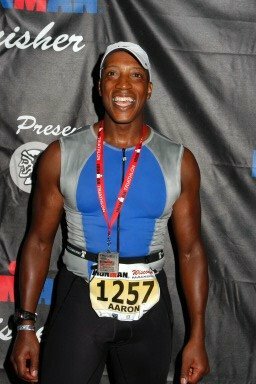 Approximately 364 days later I had transformed my diabetic body into an Ironman Triathlete. I'm proud to say I have become one of the elite athletes, and I hope my presence will inspire others to get up and simply TRI. Judy A. Smith is the founder and President of Smith & Co, a leading strategic and crisis communications firm with offices in Washington D.C. and Los Angeles. Over the last 25 years, Ms. Smith has brought her unique combination of communication skills, media savvy, legal and political acumen to clients facing a wide array of issues and challenges throughout the United States and abroad. Ms. Smith honed her skills through her experiences with some of the most historic and sensational events of our time, including the Iran Contra investigation, the prosecution of former Washington D.C. Mayor Marion Barry, the 1991 Gulf War, the Los Angeles riots, the Supreme Court confirmation hearings of Justice Clarence Thomas, the President Clinton scandal involving Monica Lewinsky, the congressional inquiry of Enron, and the United Nations Foundation and World Health Organization response to the SARS epidemic. Perhaps best known in media circles for her expertise as a crisis management advisor, Ms. Smith has served as a consultant for a host of high profile, celebrity and entertainment clients over the course of her career including, but not limited to, Monica Lewinsky, Senator Craig from Idaho, actor Wesley Snipes, NFL quarterback Michael Vick, and the family of Chandra Levy. In addition to her work as a communications advisor during high profile engagements, Ms. Smith also serves as a counselor to Fortune 500 corporations and has provided strategic advice on a variety of corporate communications issues such as mergers and acquisitions, product recalls, intellectual property litigation, corporate positioning, diversity and other challenges. She has assisted leading companies such as BellSouth, Union Pacific, Nextel, United Healthcare, Americhoice, Wal-Mart, Radio-One Inc., Waste Management Corporation, and American International Group, Inc. (AIG) on a range of corporate, investor, and public relations matters. On the domestic front, Ms. Smith continues to be involved in many of the public policy issues facing the nation. She has worked with several federal agencies and organizations on issues including the housing crisis, childhood obesity, education, and economic development. She has also provided communications advice to government entities and municipalities including the United States Election Assistance Commission, the City of Cincinnati, the City of Detroit and Prince George’s County, Maryland. In the international arena, Ms. Smith has provided counsel to several heads of state and executives of major corporations on matters in the Philippines, Haiti, Jamaica, Turks and Caicos Islands, and Zimbabwe (Save Zimbabwe Campaign). In addition, she assisted the Kingdom of Saudi Arabia’s leadership with its communication efforts as part of the War on Terrorism. Ms. Smith’s portfolio of work also contains an impressive number of high profile engagements involving prominent figures from the world of professional sports. Over the last decade, Ms. Smith has been involved in legal matters concerning NBA players; Kobe Bryant, Chris Webber and Juwan Howard; NFL player Donte Stallworth; MLB’s Gary Sheffield. Smith was a key strategist in the successful defense of former New Jersey Nets Jayson Williams. Prior to founding Smith and Company, Ms. Smith was a partner at several Washington D.C. - based public relations firms. Before that, Ms. Smith served as Senior Vice-President of Corporate Communications at NBC where she reported directly to the President and CEO and was responsible for the network’s strategic global communications strategy. Additionally, she served as NBC’s chief spokesperson for domestic and international programming and business ventures, and also helped with the groundbreaking launch of one of the nation’s first cable news stations, MSNBC. In 1991, Ms. Smith joined the White House with her appointment as Special Assistant and Deputy Press Secretary to President George H. W. Bush. During her tenure she provided the President and his Cabinet with communications advice on a wide range of foreign and domestic issues. Prior to joining the White House, Ms. Smith served as an Assistant United States Attorney and was Special Counsel to the U.S. Attorney of the District of Columbia, where she oversaw legal and communications work on a number of high profile criminal and civil cases. Ms. Smith served as Associate Counsel and Deputy Director of Public Information in the Office of the Independent Counsel, Lawrence E. Walsh from 1987 to 1989. There she managed legal, as well as national and international public information for the Iran Contra prosecution of Oliver North, John Poindexter and several other defendants. Ms. Smith has been featured in numerous national publications including: the Washington Post, National Journal, the New York Times and the Wall Street Journal and writes regularly on current events for the Huffington Post and the Daily Beast. Smith is an experienced and sought after commentator as a crisis management expert. She frequently appears on major television networks such as CNN, MSNBC, FOX News, NBC, ABC, and CBS to offer commentary on topical issues of the day. Ms. Smith also lectures on crisis management before corporate boards, academic institutions, and other professional groups. Prior to her legal career, Ms. Smith worked as a writer and public affairs specialist for several publications and private organizations headquartered in Washington, D.C. She received a Bachelor of Science degree in Public Relations from Boston University and graduated from the American University Washington College of Law where she was the first African-American woman to serve as Executive Editor of the Law Review. As a result of her wide ranging and ground breaking career, Shonda Rhimes, creator of ABC’s hit television dramas Grey’s Anatomy and Private Practice, developed a television drama about the world of crisis management inspired by Ms. Smith. The series entitled, Scandal, revolves around the life and work of a professional fixer. Ms. Smith serves as Co- Executive Producer of the project and provides insight and technical expertise on crisis management issues. Ms. Smith is the author of a forthcoming book, Good Self, Bad Self, on crisis management to be published by Free Press, an imprint of Simon & Schuster, Inc., and to be released in April 2012. She has received numerous communications and leadership awards and is active in community service. 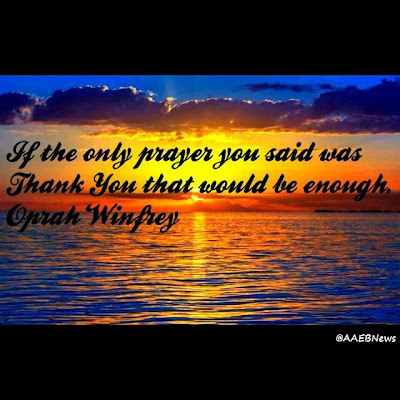 "If the only prayer you said was Thank You that would be enough." a better family unit giving hope for a brighter future. What is the Walter & Connie Payton Foundation (WCPF)? a reason to believe that tomorrow can be different.....That tomorrow can be better! that if you can catch them at a young age you can really change a life. of Children and Family Services (DCFS) to ensure that the neediest children in the state of Illinois receive these gifts. Each year WCPF provides for approximately 16,000 children. our help and the donations of the generous community around them. This is our largest program we have at present. For more information please see our Holiday Giving Page. children with the tools and the opportunities to become winners! your involvement in working with us to impact the lives of children. of Children & Family Services, and is tax deductible. Eric Holoman is President of Magic Johnson Enterprises. As such, he manages and directs the corporation’s day-to-day operations including strategy, finance and business development and he oversees many of the organizations prestigious partnerships including those with Starbucks Coffee Company, and T.G.I.Friday’s. Mr. Holoman has expanded the organizations capital markets presence through partnerships with institutional money management firms Canyon Capital Realty Advisors and Yucaipa Partners. For example, he partners with Yucaipa to oversee and manage the Yucaipa Johnson Corporate Initiatives Fund which is in the latter stages of raising $750 million dollars. The fund is focused on strategic investments in companies located in, or focused on, serving America’s urban markets. Prior to joining the company, Mr. Holoman served as President of Holoman Food Services, Inc., overseeing the operation of multiunit fast food franchises in inner-city Los Angeles. He later worked for Bank of America, first as a Senior Investment Specialist and later as Vice President of High Net Worth Sales for the Private Bank. He went on to become Senior Vice President and Regional Sales Manager of Wells Fargo Bank’s Private Client Services Division and concluded his career at Wells Fargo as head of the private mortgage bank in Los Angeles. Mr. Holoman was appointed to the Los Angeles City Employees’ Retirement System (LACERS) by Mayor Antonio Villaraigosa and currently serves as its President. He has been an active participant in the Investment Committee that oversees the funds $11 billion dollars in investments. He is past Chair of the Private Investment Committee that oversaw the funds alternative investment Strategies. Mr. Holoman was also recently appointed to the Federal Reserve Bank of San Francisco Los Angeles Branch board of directors. As such, Mr. Holoman joins a prestigious group that works together to provide the Federal Reserve System with a wealth of information on economic conditions in virtually every corner of the nation. This information is then used by the Federal Open Market Committee (FOMC) and the Board of Governors in reaching decisions about monetary policy. Mr. Holoman is a NASD Registered General Securities Principal, Municipal Principal, and Options Principal. He also is a Registered Investment Advisor. Mr. Holoman has a degree in Finance from the University of Southern California. Finally, a workbook that makes money management simple! This easy-to-read workbook from personal financial literacy coach and professional speaker Shay Olivarria explains topics such as savings, goal setting, credit reports, credit scoring, net worth and retirement vehicles for the everyday person. As the old saying goes, "time is money" and with this workbook you can save quite a bit of both. The enclosed worksheets help you understand your financial situation and provide the necessary guidance to get your finances under control. In these tough times we must be proactive with our own futures and take control of our money; with Money Matters: The Get It Done in 1 Minute Workbook we can do just that. "I had to focus and create a character in Bagger Vance, not just do my thing and get paid." "I try to speak my points of view about black America, and how I feel about black men and the role that black men should play in their lives with their children and in their lives with their women." "It's quite highly possible that I have peaked. I mean, I just can't imagine what else I could do beyond this. It's really a bittersweet kind of feeling." "My skin is hard when it comes to my music. But with my movies, I'm still a virgin in a lot of ways. I'm not used to being shot down for no reason." "There's so much negative imagery of black fatherhood. I've got tons of friends that are doing the right thing by their kids, and doing the right thing as a father - and how come that's not as newsworthy?" "Well, all I know is what I read in the papers."